The big "100 package" of the one-of-a-kind 45 RPM record sleeve from Spin Clean®. Made from 60 lb., acid-free, archival storage-quality paper, the Yellow Jacket is unique in that its physical paper properties do not fade over time. 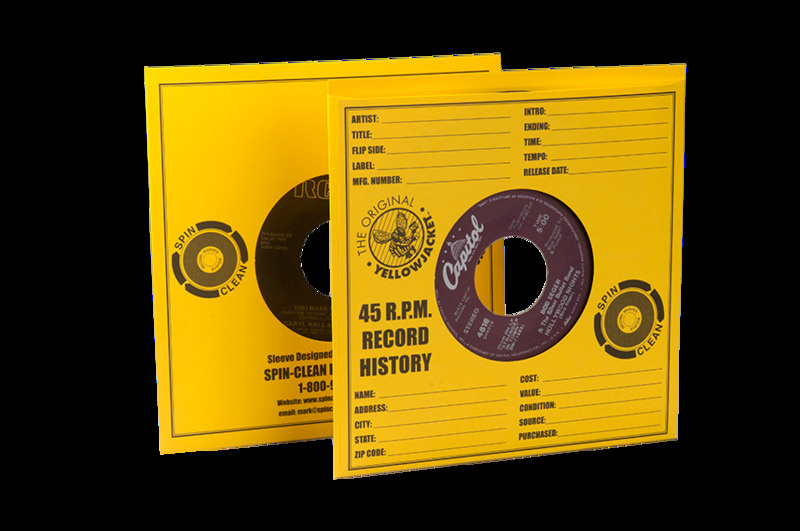 The Yellow Jacket also allows for historical recording of the 45 RPM info on the outside of the sleeve. A must for helping to preserve your 45 RPM singles when they're not being played or cleaned.